Carel is rector of a non-existent City church (it was destroyed in the war). In the rectory live his daughter, Muriel, his beautiful invalid ward, Elizabeth, and their West Indian servant, Patti. Here too are Eugene, a Russian -migr-, and his delinquent son, Leo. Carel's brother, Marcus, co-guardian with him of Elizabeth, tires to make contact with Carel but is constantly rebuffed. 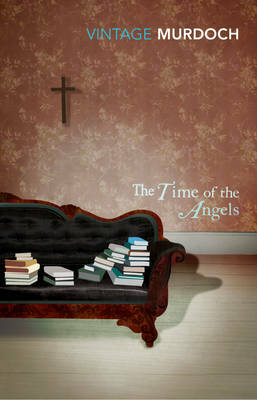 These seven characters go through a dance of attraction and repulsion, misunderstanding and revelation, the centre of which is the enigmatic Carel himself - a priest who believes that, God being dead, His angels are released. At the end, Muriel finds herself with the power of life and death over her father.